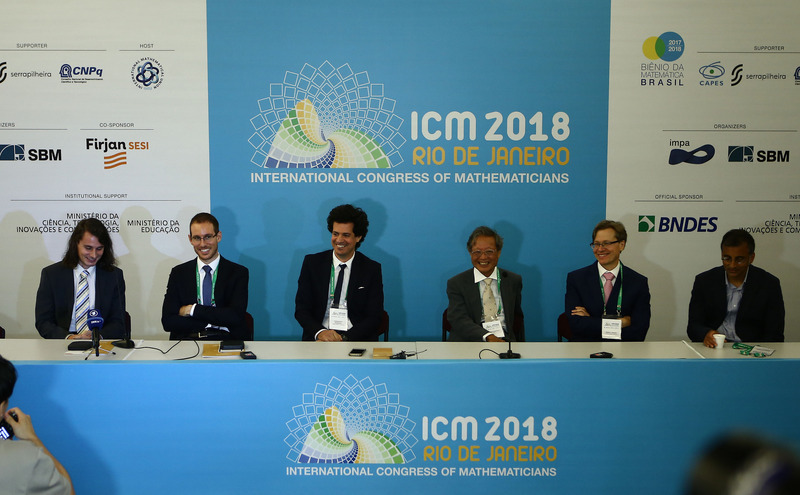 When a mathematician wins the Fields medal, Nevanlinna prize, or Gauss prize, there is no doubt that a feeling of joy and accomplishment overcomes him or her. But for this year’s winners, that joy doesn’t quite compare to the joy they felt when winning their first math award, being accepted to a math-intensive school, or seeing their work applied in the real world. Nevanlinna Prize winner Constantinos Daskalakis. These math geniuses shared their past experiences of feeling joy in math and posed with their new metalware. “We’re not really in this for the prizes,” said Stanford professor Akshay Venkatesh. “You get in feeling you have contributed something to the mathematics. It’s a lasting feeling that it brings you great satisfaction. Donoho, a professor at Stanford University, won the Gauss prize because work that he had done many years ago was finally being applied in real life. And that, more so than his prize, is giving him joy. Alessio Figalli felt joy when he was accepted to the PISA school in Italy, even though he didn’t study math at his classical high school. Several of the mathematicians also acknowledged that the world is becoming more dynamically involved with math every day. As society becomes more data heavy, there will be more opportunities to use that data in math.